Everything You Need. Drum Throne, Drum Sticks, and Headphones Included. Everyone loves the sound of a great drummer—the exciting rhythms, flashy motions, intricate sonic textures. But drums are loud—too loud for most homes. And they take up a lot of room. They’re difficult to play, taking years of practice. 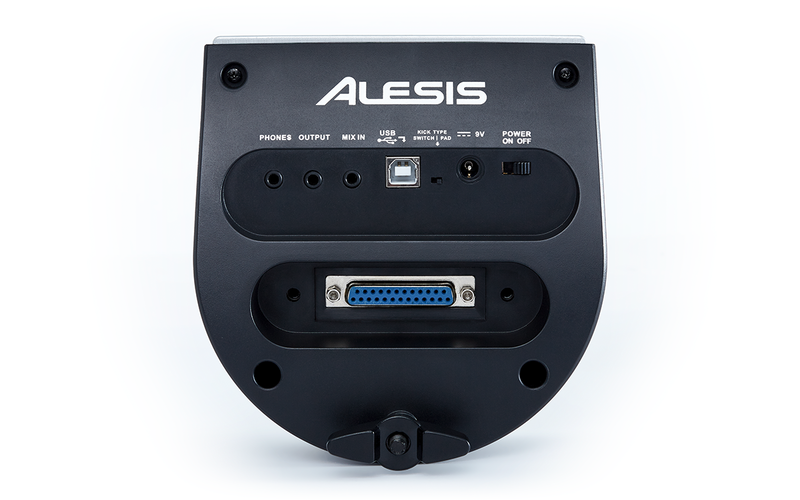 The Burst Electronic Drum Kit from Alesis solves all that. These are electronic drums, so their volume is totally controllable. When the volume is turned down or you use headphones, you can barely hear them from a few feet away. Compact, they fit into a fraction of the space of a conventional set of acoustic drums. But best of all, they come with everything you need to begin playing like a professional in no time. 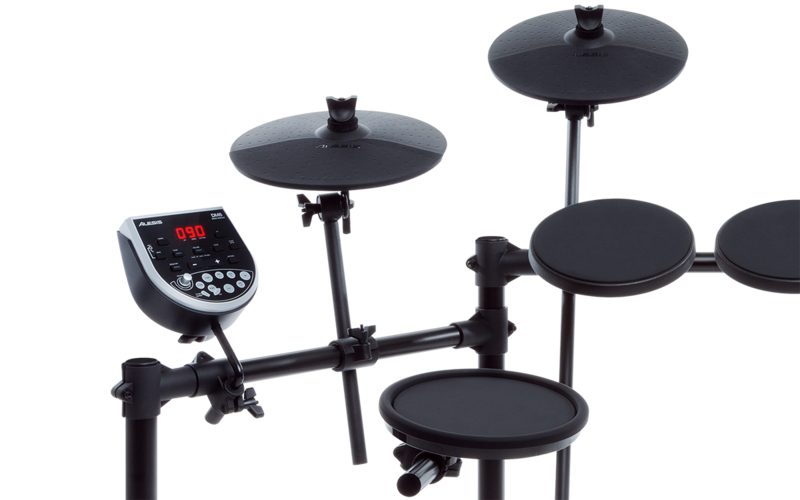 Four realistic-sounding, responsive drum pads and three cymbals give you the full range of percussive sound. An exclusive electronic drum module adds over 100 different instruments and 10 drumset sounds to your playing. 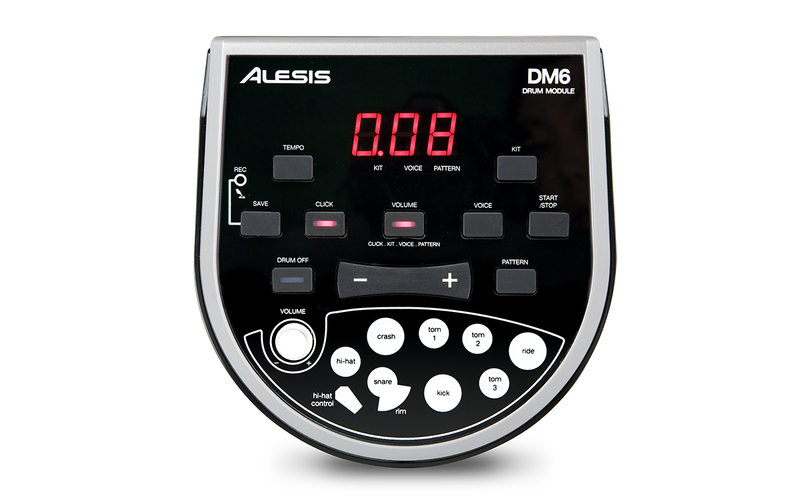 The exclusive electronic drum module gives you 10 drum sets with over 100 drum and percussion instruments. You can customize five additional sets for the ones you like best. Everything you need is included: the drum throne, a set of headphones, even the sticks. And forget taking years to learn how to play. 40 built-in play-along songs let you practice, while the 1/8-inch aux input enables you to connect an external device and play your personal favorite songs. There’s also a built-in metronome for learning how to keep steady time. 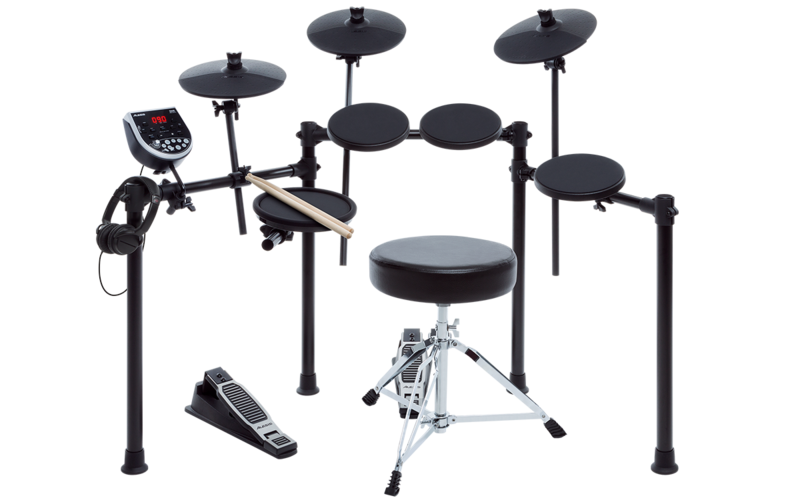 With the Alesis Professional Electronic Drum Set, you’ll be inspired to practice and improve all the time! 1/8” headphone jack for silent practice—headphones included!